Gyotaku (gyo (fish) taku (rubbbing)) is a Japanese art form that creates an image of a fish or other marine object with exacting detail. The name is descriptive of the technique of using ink and a rubbing motion to transfer the features of the fish to paper or silk. 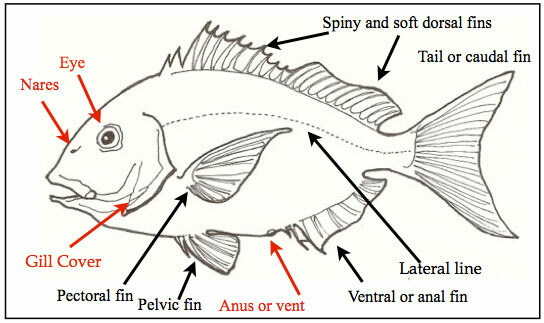 The following instructions refer to the direct method of printing, in which ink is applied directly onto the body of the fish.